Many guests love to add the Disney Dining Plan to their Walt Disney World Resort vacation. 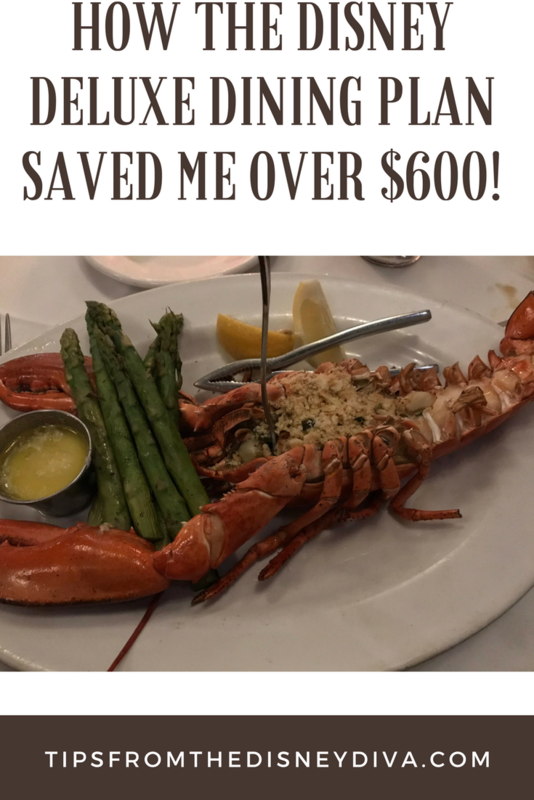 It has tremendous advantages – everything is pre-paid so no worrying about keeping to a budget when you’re busy enjoying the magic, order anything you want off the menu without paying attention to the price, ability to try lots of fabulous table service restaurants (and even meet some characters!) and not focus on feeling like you’re spending a fortune with each bite. Disney offers three types of dining plans for guests staying at a Walt Disney World Resort hotel. New for 2018 is the addition of alcohol! That’s right – you can enjoy an adult beverage with your meal! For those under 21 or who prefer non-alcoholic beverages, specialty drinks like artisanal milkshakes and fresh smoothies are included! You can read Pixie Dusted Diva’s full explanation on the 2018 dining plan details here. The prices can seem like a little sticker shock, because, let’s face it; a Walt Disney World Resort vacation can quickly break the budget. Hotels, airfare, park tickets, souvenirs – it adds up quickly. Adding the dining plan isn’t always the most economical choice. But many families still find that the convenience and value is worth it. To see Military Diva’s tips on how you can make the most of your dining plan, click here. Although we love the convenience, we don’t normally purchase the dining plan. We seldom are able to take advantage of the “free dining” promotions; and as Annual Passholders, we ordinarily book a “room only” reservation rather than a room/ticket/dining package. We typically are a “rope drop til kiss goodnight” type of family, and prefer to grab quick meals or just make sandwiches in our rooms. (Read Pixie Dusted Diva’s article, here, on using Amazon Prime Now to have groceries delivered to your resort!) 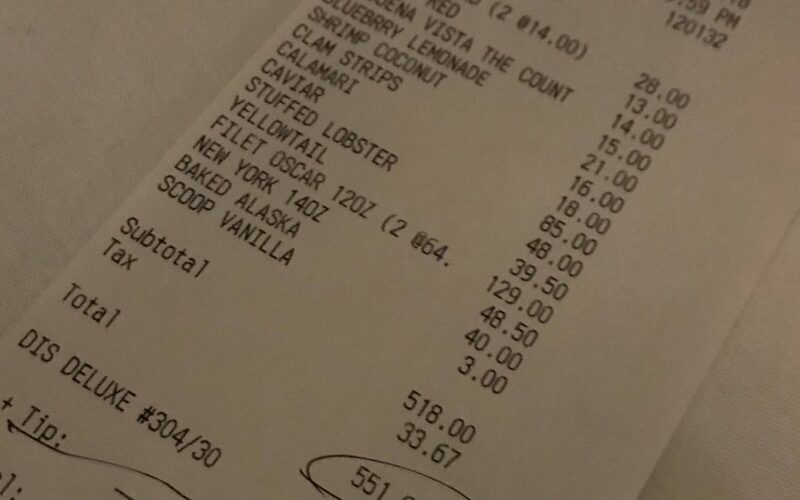 Adding the cost of the dining plan just doesn’t usually make sense for us. Diva Tip: Don’t forget about the Tables in Wonderland card! It is a dining discount card available to Annual Passholders, Disney Vacation Club members and Florida residents. Pink Diva explains all about it here. 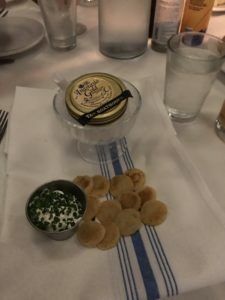 But on a recent adults only trip to celebrate my husband’s birthday, we knew we wanted to enjoy some nice meals at signature restaurants. 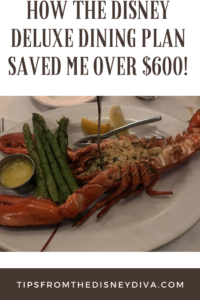 When we began looking at the menus and budgeting for dining, we started to consider a dining plan. And it quickly became obvious we should purchase the Disney Deluxe Dining Plan. Here’s why. The deluxe plan allows each person three meals and two snacks per night. One of the major reasons many people don’t choose the Disney Deluxe Dining Plan is they think it’s just too much food! And they have a point! While Disney Dining Plan lunch and dinner table service meals include an entrée, dessert, and beverage the Disney Deluxe Dining Plan also includes an appetizer for each table service meal. That adds up to a lot of food! If you had three table service meals every day, you may not be able to fit back through the door of the Magical Express to go home – let alone have enough park time to ride Space Mountain as much as you’d like! 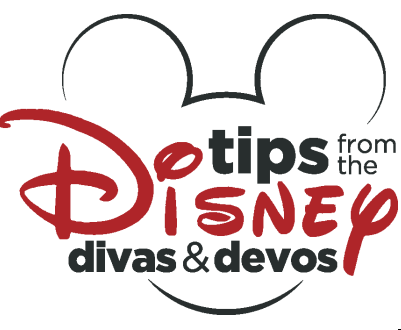 Diva Tip: Disney meals are usually ample portion sizes. We often find we are able to split meals between two people, and still feel like we had plenty to eat. 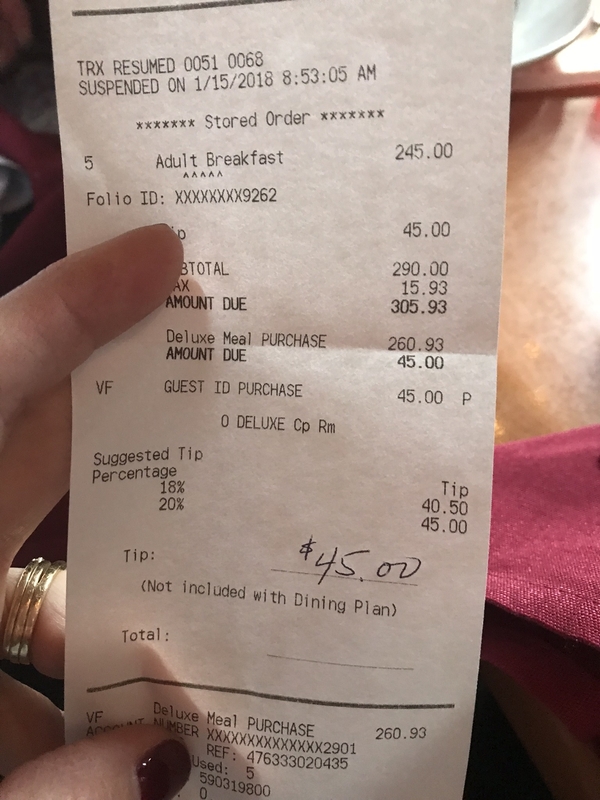 It’s another good point to consider when determining if a Disney Dining Plan is right for your family. When you don’t worry about price, you order caviar as an appetizer! So we knew we didn’t want three table service meals each day, but we did want to eat at signature restaurants. 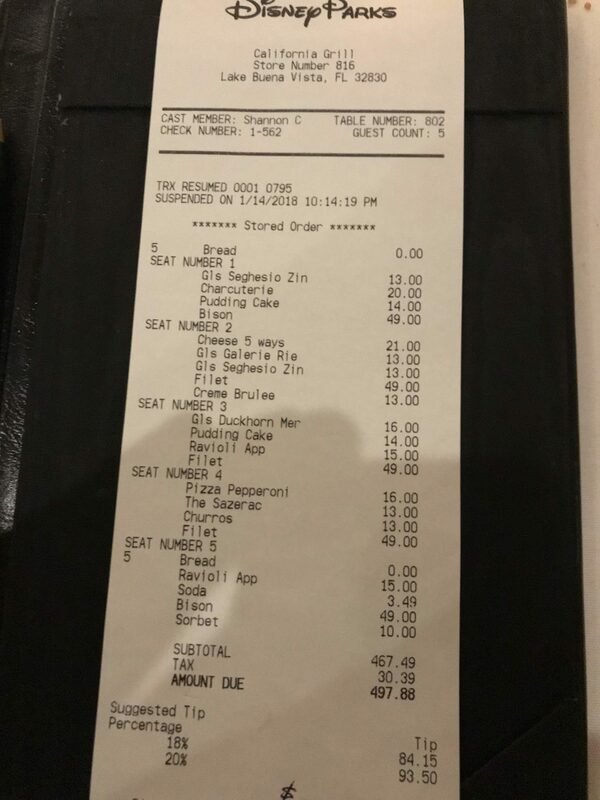 And those restaurants require two table service credits. So with the Disney Deluxe Dining Plan, we could have a table service breakfast and then a lovely dinner each day. Not to mention the snacks! We thought it would work perfect for our plans. And it did! We only had two nights for this weekend birthday celebration. 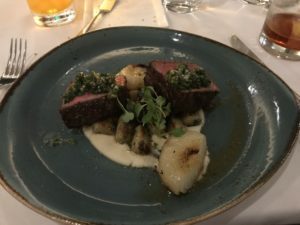 We enjoyed delightful, relaxing meals at The Boathouse and California Grill, and fun character breakfasts at Trattoria al Forno and Akershus Royal Banquet Hall. (Check out Fairy Diva’s review of Akershus Royal Banquet Hall here.) Our visit coincided with Epcot’s International Festival of the Arts, so in addition to enjoying some scrumptious meals, we knew we wanted to try some of the culinary snacks featured at Epcot. (See my review, here!) Having two snacks per person per day with a dining plan let us try all the exquisite snack choices we wanted at the Festival of the Arts. BUT WAIT! There’s more!! In addition to our meals and snacks, the Disney Deluxe Dining Plan (like all Disney Dining plans) includes a refillable resort mug. And if we had paid for them out of pocket, it would have cost our party $94.95 ($18.99/mug). Naturally, our experience isn’t going to be right for everyone. If we were traveling with small children, I doubt we would choose the Disney Deluxe Dining Plan. But, for our group of adults, all of whom enjoy long relaxing dinners at fine restaurants, it was a perfect fit! 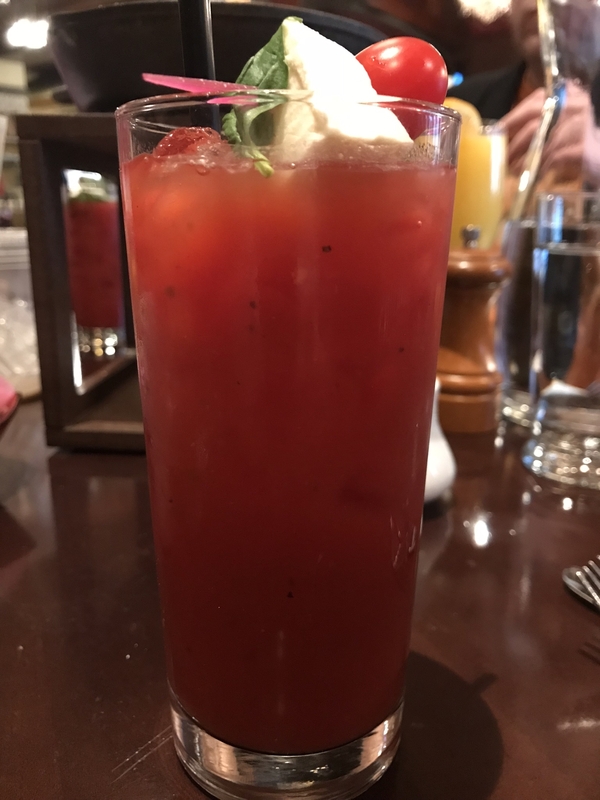 Diva Tip: If you really want to enjoy an adult beverage, pay attention to which restaurants offer them, especially for breakfast. We were able to order mimosas and Bloody Marys at Trattoria al Forno, but not at Akershus Royal Banquet Hall. For this particular trip, the Disney Deluxe Dining Plan saved us quite a bit of money. 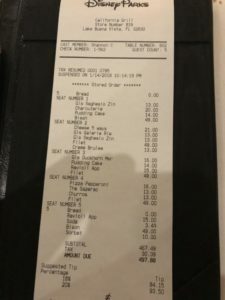 It made our trip much more relaxing knowing our meals were all paid for, and we could just concentrate on having a magical birthday celebration. I would definitely recommend always doing your homework and crunching some numbers to see when or if a dining plan is the right option for you. If you’d like some help with that, Patricia at All for Dreams Travel is an expert at booking Disney vacations! She can answer all your questions, book your trip, and even make those dining reservations for you. Best of all, all this service is FREE! Contact her today to begin planning your vacation! And remember….calories don’t count at Disney! New 2018 Disney Dining Plan Changes – Now With Alcohol! Love that you give actual examples so anyone can see the cost comparison. We really enjoy the dining plan too when we visit. if you have the deluxe plan can you add on item to your entree? like for example if i get a steak dinner can i get a side of scallips or a side of grilled shrimp and have the dinning plan cover it or do i have to pay out of pocket for extra add ons? Good Morning! 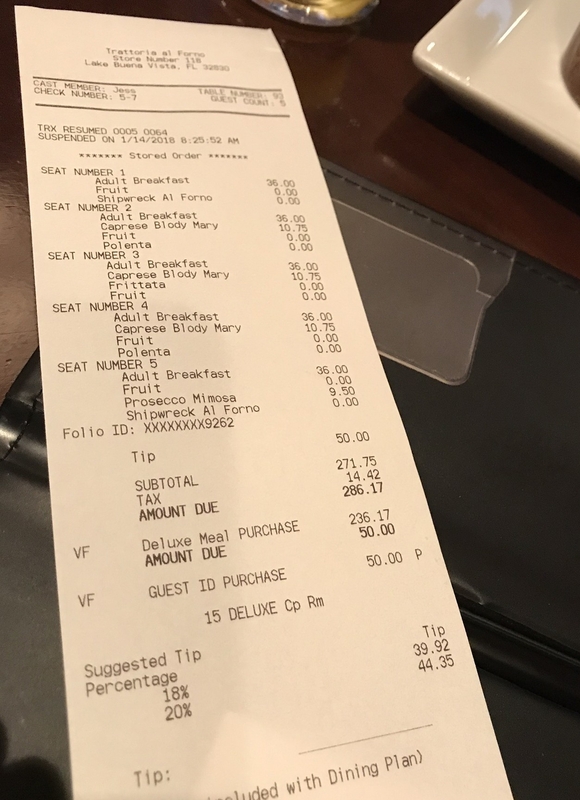 The Table Service credit provides entree and drink (or buffet) for breakfast; lunch and dinner credit provides appetizer, entree, drink and dessert (or buffet). Any additional item would incur an extra charge. Now, Disney has been very kind to our family, often allowing substitutions of the sides that are included with the entree. It never hurts to ask! !